Moose hide makes great slippers — long-wearing but supremely soft and comfortable. 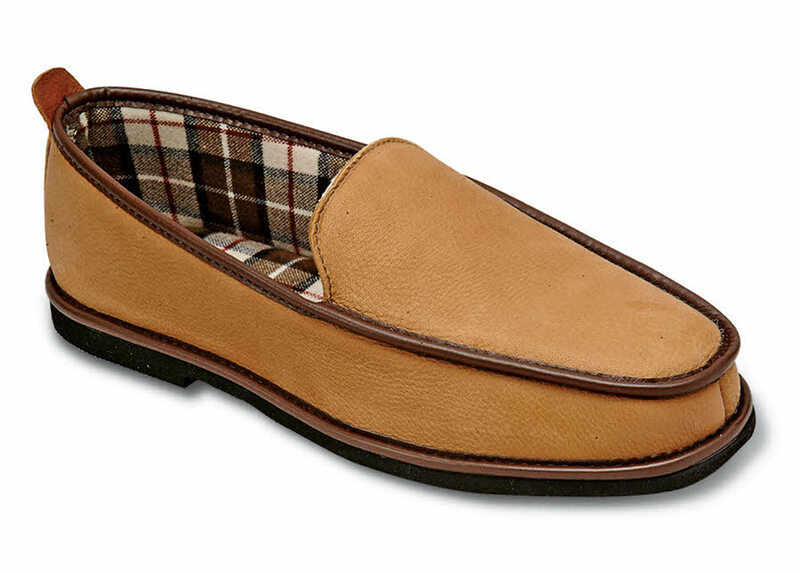 Made in Canada, our wide moose slippers have foam-cushioned linings of handsome plaid fabric. 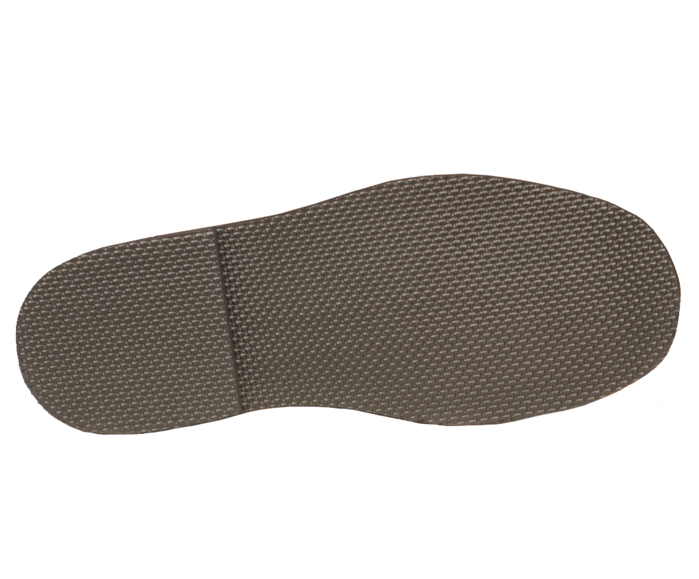 The EVA sole wears well, can even venture outside. Men's whole sizes 5 to 15, 3E and 5E widths; whole sizes 7 to 15 in 6E.